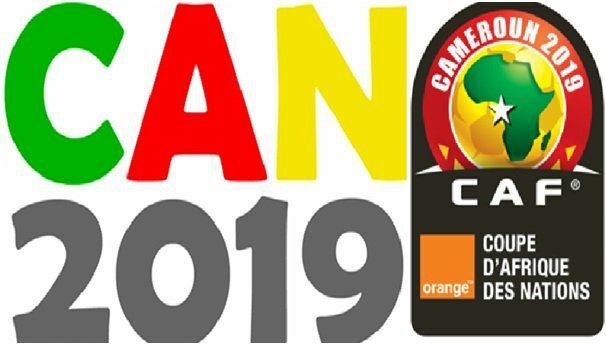 CAN 2019 Qualifiers: Here are the complete results and rankings of 4th day! The 4th day of the qualifying rounds of the African Cup of Nations ended yesterday, Tuesday, with the final qualification of 4 nations of Senegal, Madagascar, Tunisia and Egypt. Note also the beautiful performances of the Sparrowhawks of Benin, Nigeria, Uganda and Mauritania, which are only one point of qualification. Rank: 1. Senegal, 10 pts (+7), Madagascar, 10 pts (+4). 3. Equatorial Guinea, 3 pts (-4). 4. Sudan, 0 pt (-7). Goals: Ben Nabouhane (8th, 90th + 1) – Boutaïb (53rd), Amrabat (62nd). Classification: 1. Cameroon*, 8 pts (+2). 2. Morocco, 7 pts (+3). 3. Malawi, 4 pts (-3). 4. Comoros, 2 pts (-2). Goals: F. Abdul Razak (18th) – Mam.Fofana (72nd). Rank: 1. Mali, 8 pts (+4). 2. Gabon, 7 pts (+3). 3. Burundi, 6 pts (+3). 4. South Sudan, 0 pt (-10). Rank: 1. Algeria, 7 pts (+2), Benin, 7 pts (0). 3. Togo, 5 pts (0). 4. Gambia, 2 pts (-2). Goals: Zubya (35th), Benali (74th) – Ighalo (14th, 81st), Musa (17th). Rank: 1. Nigeria, 9 pts (+6). 2. South Africa, 8 pts (+8). 3. Libya, 4 pts (-1), 4. Seychelles, 1 pt (-13). Goals: Olunga (23rd), Omondi (27th), Wanyama (67th, sp). Ghana – Sierra Leone: match cancelled. Rank: 1. Kenya, 7 pts (+3), Ethiopia, 4 pts (-7). 3. Ghana, 3 pts (+4), Sierra Leone, 3 pts (0). Goals: Billiat (2nd) – Hadebe (24th, CSC). Goals: T.Dennis (8th), Jebor (13th) – Ibara (14th). Ranking: 1. Zimbabwe, 8 pts (+4). 2. DR Congo, 5 pts (+1). 3. Congo, 4 pts (-1), Liberia, 4 pts (-4). Rank: 1. Guinea, 10 pts (+4). 2. Ivory Coast, 7 pts (+4). 3. Central African Republic, 4 pts (-4). 4. Rwanda, 1 pt (-4). Ranking: 1. Mauritania, 9 pts (+1). 2.Burkina Faso, 7 pts (+3). 3. Angola, 6 pts (+1). 4. Botswana, 1 pt (-5). Goals: Hegazy (19th), Mohsen (53rd). Goals: Oumarou Alio (36th) – Chaouat (28th, 32nd). Rank: 1. Tunisia, 12 pts (+4). 2. Egypt, 9 pts (+10). 3. Swaziland, 1 pt (-7), Niger, 1 pt (-8). Goals: Sunzu (53rd, CSC), Toni Silva (61st) – Shonga (12th). Rank: 1. Namibia, Guinea-Bissau, 7 pts (+1). 3. Mozambique, Zambia, 4 pts (-1). Goals: Msuwa (29th), Samatta (58th). Ranking: 1. Uganda, 10 pts (+4). 2. Tanzania, 5 pts (-1). 3. Cape Verde, 4 pts (0). 4. Lesotho, 2 pts (-5).